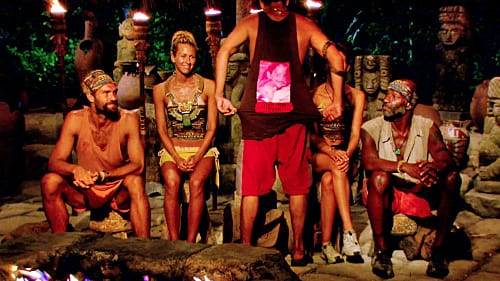 When prompted by Jeff to describe what he is playing the game for, Rob stands up and shows the back of his shirt. The shirt has a picture of his wife, former Survivor contestant Amber, and their baby daughter. 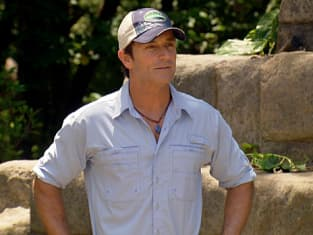 Survivor Season 22 Episode 13: "Too Close For Comfort"
I've had control in this game. I just need to keep control. Permalink: I've had control in this game. I just need to keep control. I love blindsides because, in an evil way, it's fun to see their reaction.